In this blog, we will see how to check the integrated security mode using "SERVERPROPERTY". 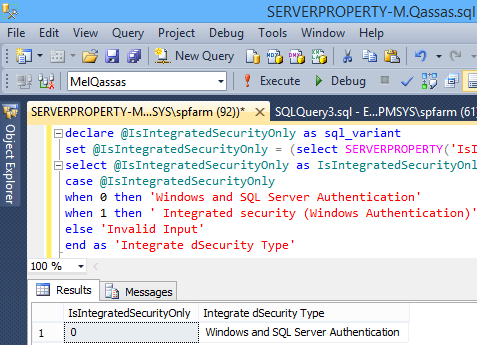 Use ISINTEGRATEDSECURITYONLY property to check the integrated security mode. Check the integrated security mode using PowerShell?